and improve efficiencies. >Get started today! 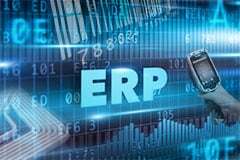 Extend your ERP data to every mobile worker at crucial points of activity. Capture more intelligence from your production line. Automation IQ™ software pinpoints where your systems are breaking down—and why. Centralize and consolidate your enterprise label printing while collaborating with key users—across the building or across the country. Connect with core business application data, manage and control label formats and decrease costs with Inovity’s Enterprise Label Printing solutions. Anyone can sell you technology. integrated solutions that ignite efficiency and productivity. drive performance and increase profitability. Know where. Know when. Know how.